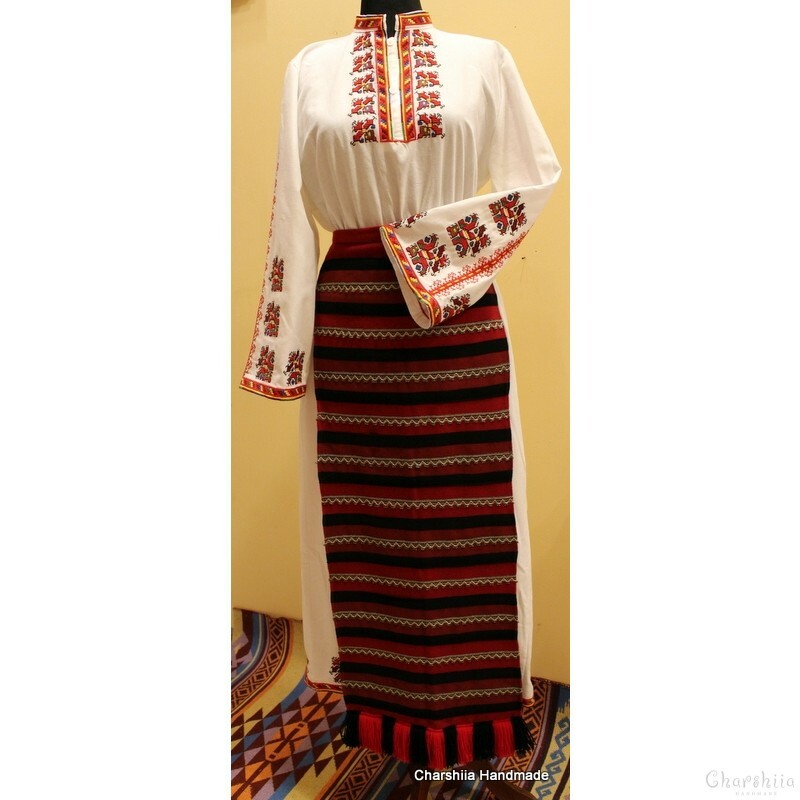 technique: Traditional Bulgarian designs. 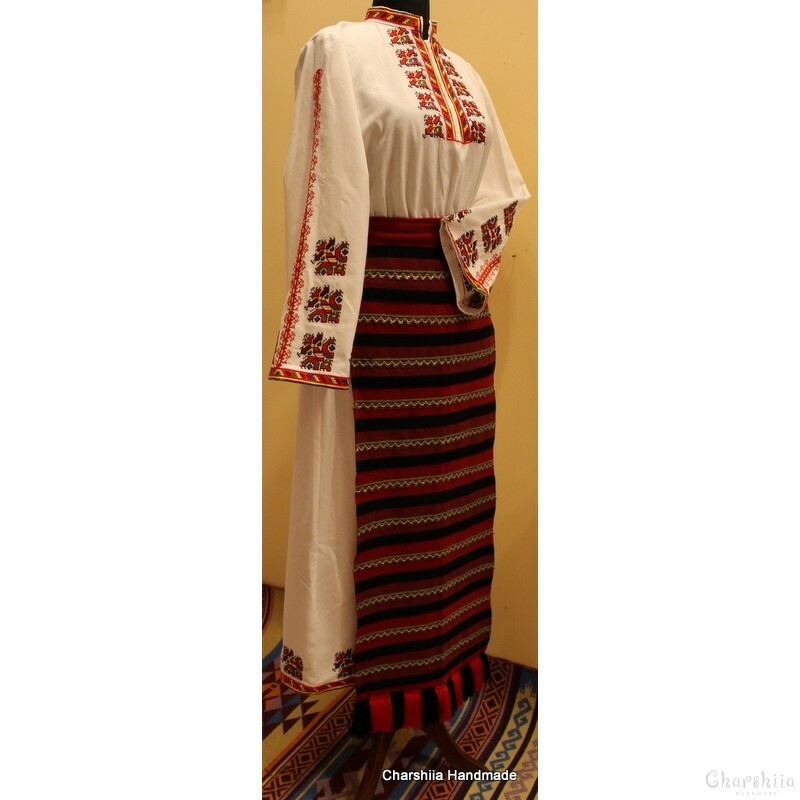 The model shirt is from the Pirin region. 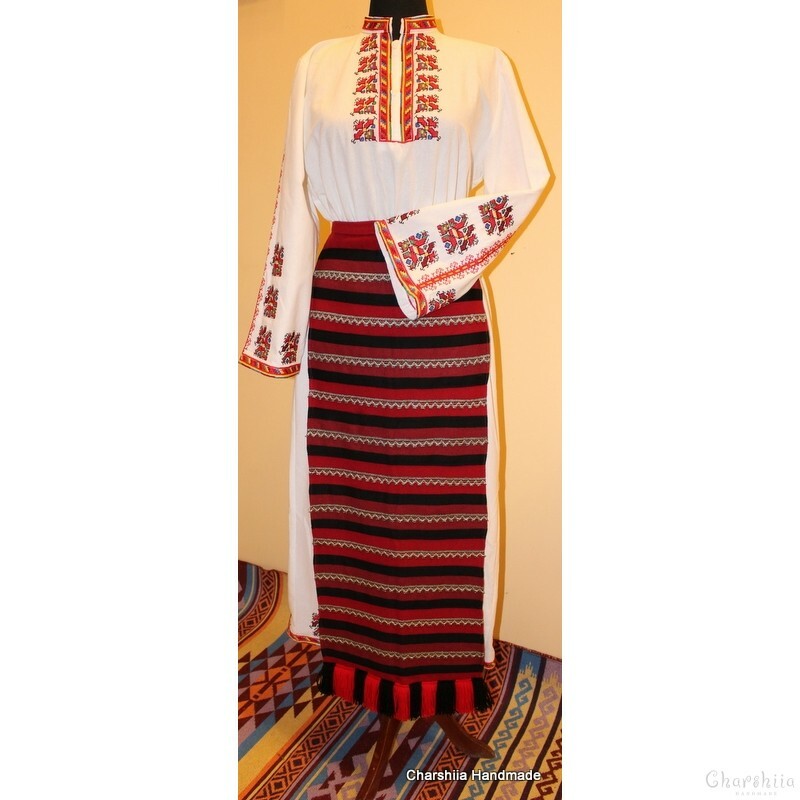 The dress is made as a copy of the so-called 'koshulia' - a long shirt that is worn under the traditional Bulgarian 'sukman' called also 'saya' or 'kazmir'. 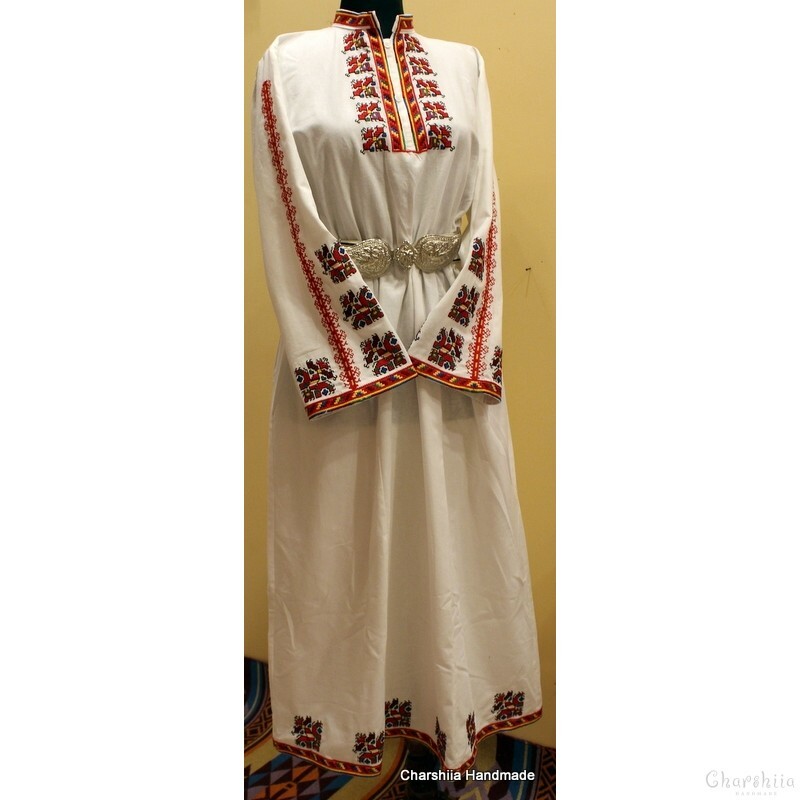 In modern day it can be worn as a dress with an embroidered belt with pads. 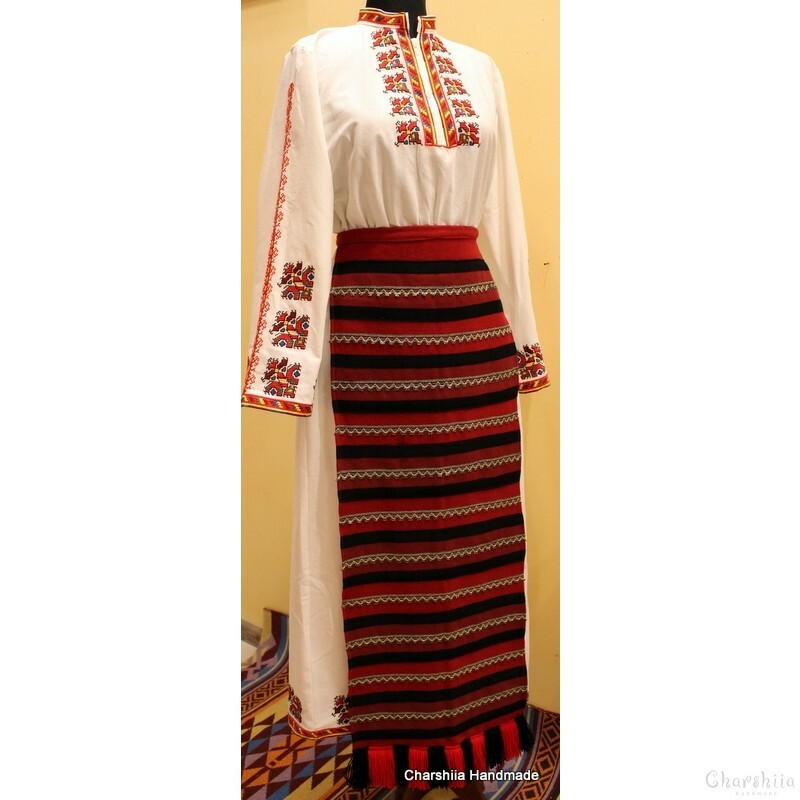 It is an amazingly elegant and extravagant dress, produced in the spirit of the Bulgarian tradition. 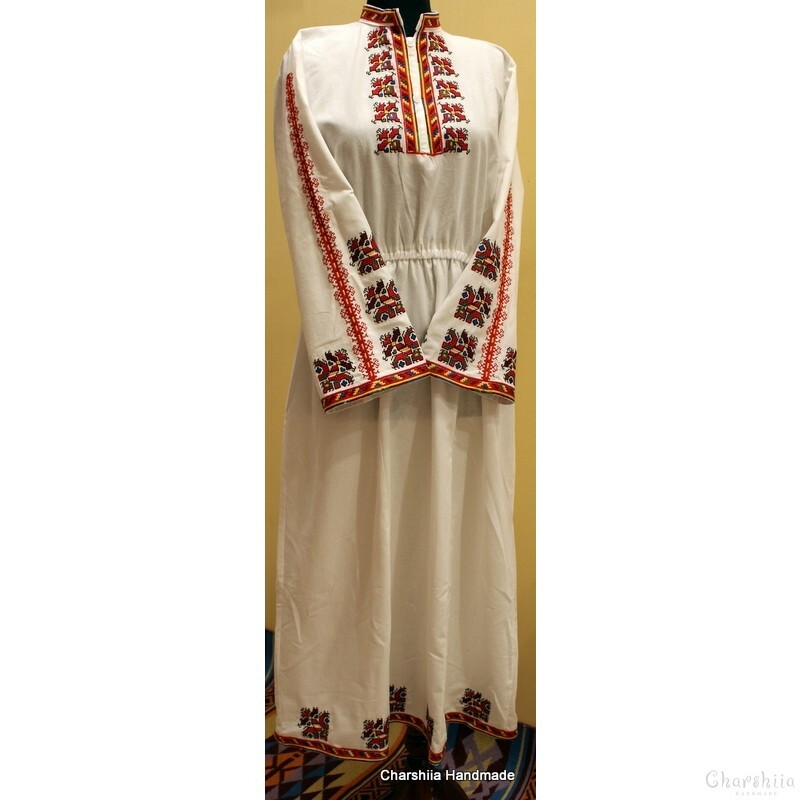 The Ladies long shirt was made with much loveand dilligence and focus on detailacquired through years of experience.